Whether you are a backpacker looking for adventure and excitement, or a family looking to relax and rejoice in the wonders of nature – Lesvos, Mytilini is the place to be! A mesmerizing amalgamation of art, architecture and the Aegean – when in Greece, Lesvos should be at the top of your list of the best places to visit on your amazing Greek vacation. 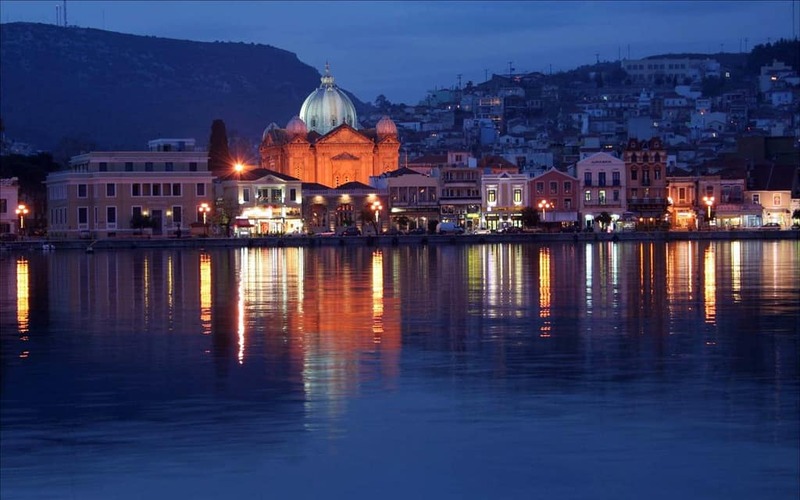 Founded in the 11th BC, the island of Lesvos (also known as Mytilini – after its capital), spans over a distance of 630 sq mi with 199 miles of coastline – making it the 3rd largest island Greek island. It is a joy to behold and a must-visit for people who want to experience the real Greece – unlike the other islands, it hasn’t been affected by mass tourism and still retains its perfection. This gorgeous island is a tourist’s paradise. There are so many beautiful places to visit on this island that penning down only 9 of them is going to be a difficult task, but we are brave enough to try and pen them down. Ancient ruins, tunnels and towers; what more can a castle offer? The Mytilini castle, located on the northern side of the island, overlooking the city, is one of the largest castles in the eastern Mediterranean. It has been used and rebuilt by the Romans, Byzantines, Venetians and the Turks, and is now used in the summer for cultural events. This castle has been visited by the likes of the popular singing band – The Scorpians, and also by their their local opera singer Joanna Karvelas. It has a reservoir with a 4,000 cubic meter capacity and beneath the castle, the hills are catacomb-ed with intriguing tunnels that beg to be explored! The castle provides the most picturesque view of the northern side of the island, from where you can truly appreciate the beauty of this breathtaking island. When the name itself is so mysterious and full of promise, how can the real thing not live up to its name? For those who don’t know, Medusa was not the only one who could turn people into stone; Mother Nature has the same power too. 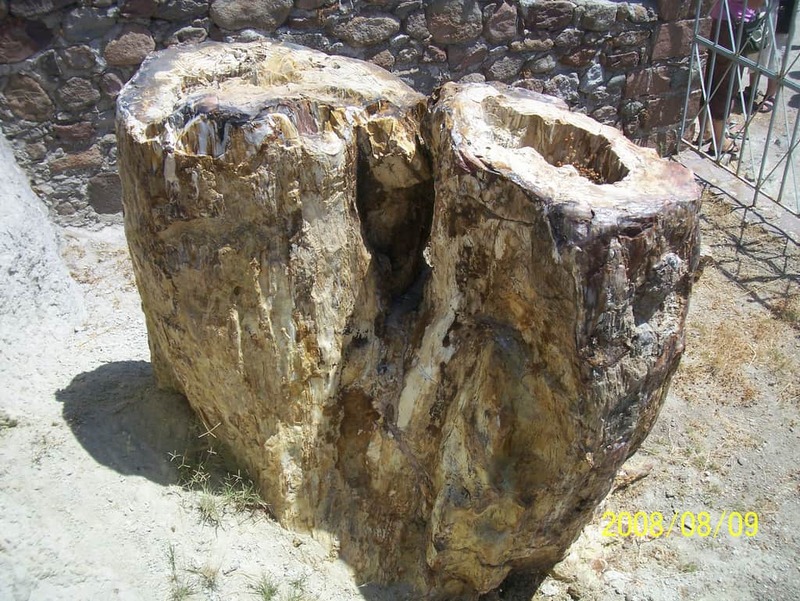 Okay, maybe not turning people into stone per say, but nature does have the ability to turn organic material into stone, and this process, is called petrification. 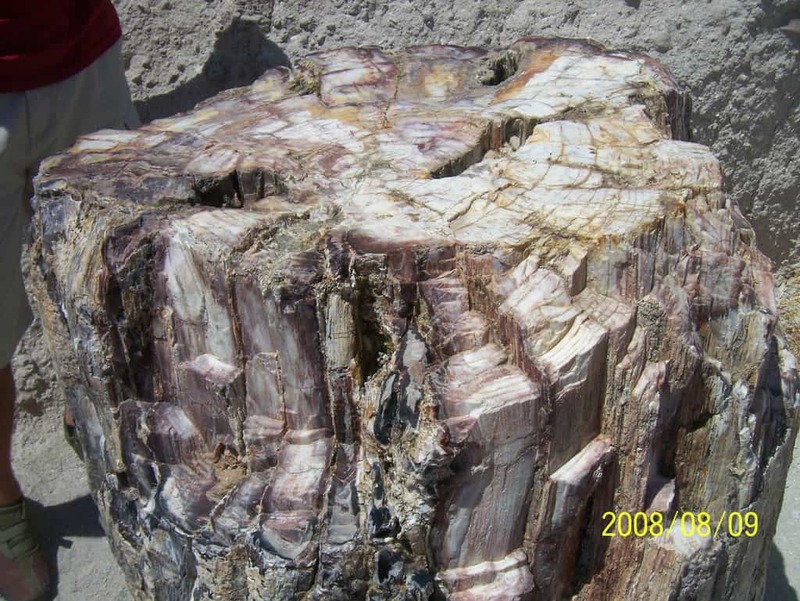 When a tree is petrified, all its organic materials are replaced by silica or quartz, but somehow the wood keeps the same form. 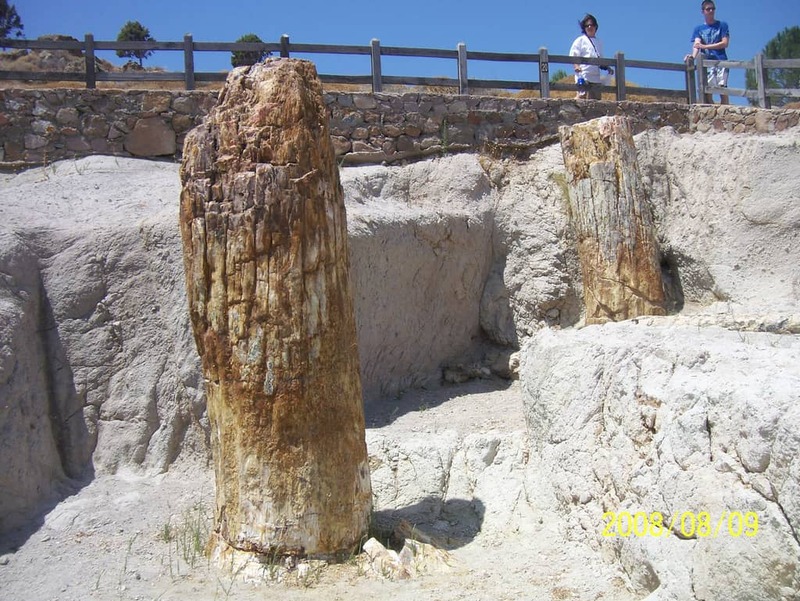 The once lush forest underwent the petrification process during the Oligocene and the Miocene ages, during which there was great volcanic activity on the island. 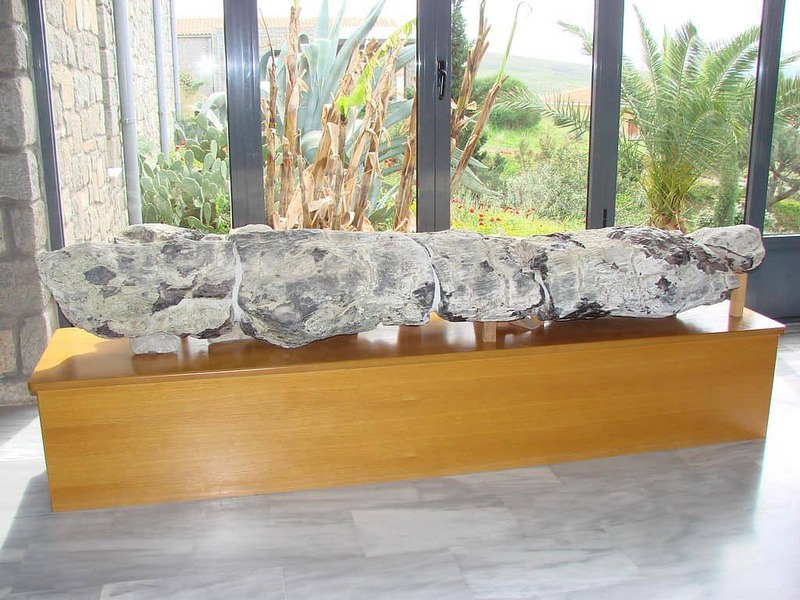 The volcanic ash covered all the trees of the forest, and this caused the whole fossilization process. The Greeks recognized the great geological value of this brilliant natural treasure, and the forests were declared a Protected National Monument. This majestic gift of nature is a sight to behold and is said to be even larger in size than the Petrified forests of Arizona. Though not a spiritual person, somehow I have always found solace in churches. The bell towers, the high tombs and the peace – it’s infectious. The beautiful church of Saint Athanasios is located in the center of the town of Mytilini, has a beautiful structure and dates back to the 17th century. It is characterized by a cross in square and a domed basilica with three isles. The interior of the church is equally beautiful as the exterior, with walls lined with magnificent paintings indicating a strong renaissance influence. The best feature about this church is the huge bell tower, which is visible from a considerable distance. There is another interesting section of the church which houses sacred relics of Saint Theodore – who apparently saved the whole island from the plague in 1836. This island is an absolute paradise for museum lovers. With close to 7 popular museums, one can easily get lost in the art scene here and not desire to be found! The Archaeological museum of Mytilini houses findings from excavations, performed all over the island, like small statues, parts of ancient temples, coins, jewelry etc. 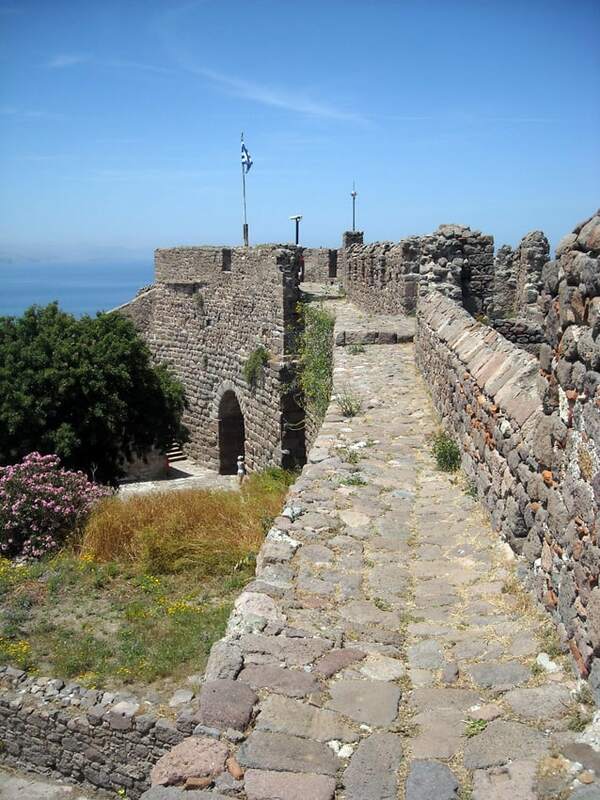 Be in the midst of history of Lesvos, Mytilini and relive it through ancient ruins and treasures. Art and technology together makes for a wonder to behold and that’s what this jaw-dropping digital museum offers all its visitors. The Georgios Iakovidis Digital Museum is the first, fully-equipped digital art museum in Greece, located at the painter’s birth place in the mountainous village of Chidira, on the island of Lesvos. 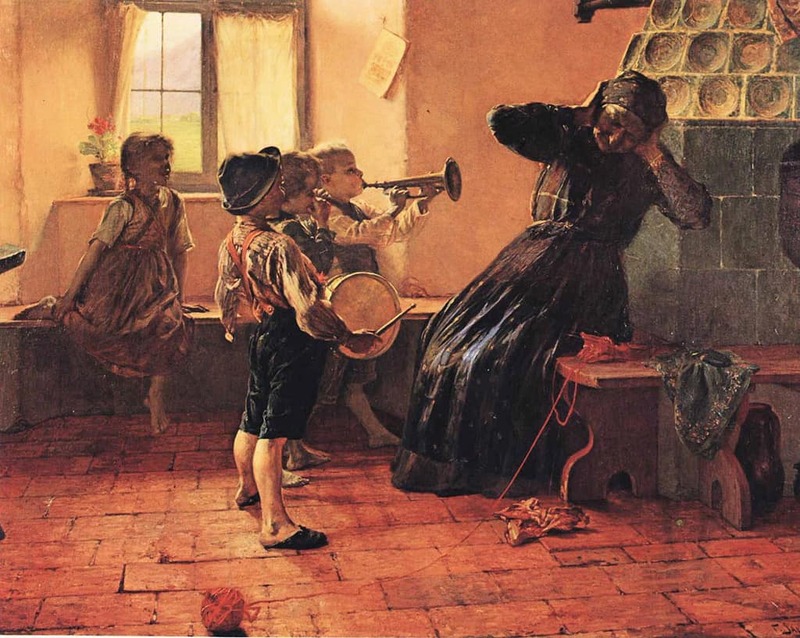 This museum also focuses on the educational activities for all school levels, aiming to bring students closer to art, through several interesting workshops and documentaries on Iakovidis’s life and career. This ancient monastery is located in Madamados, in northern Lesvos. It was built in 1700, restored in 1879, and it is dedicated to the saint patron of Lesvos. The tradition says that the icon of Taxiarchis in this church was made of clay and the blood of some monks, slaughtered by pirates in the Medieval times. With pirates involved, this monastery does deserve one visit, just for the sheer intrigue of its history. 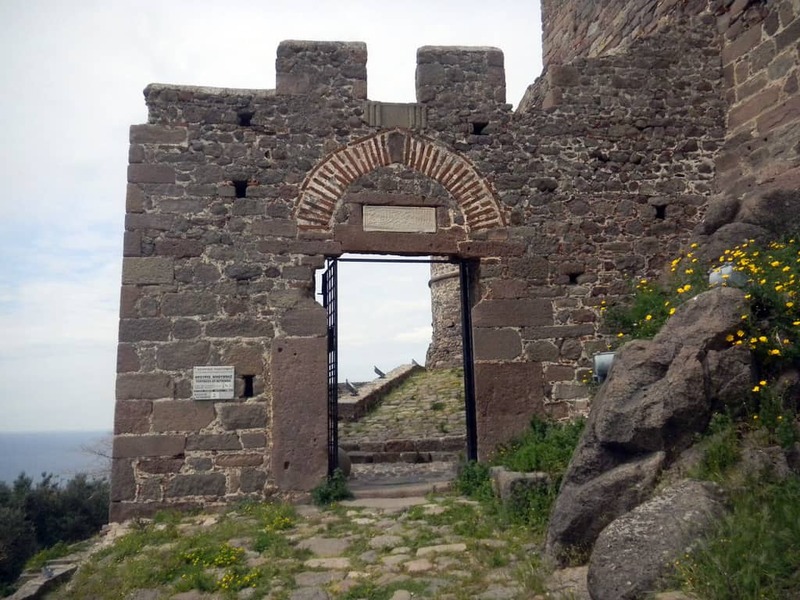 The second most impressive castle on the island is the Molyvos castle that crowns the heights of the town with its towering length. 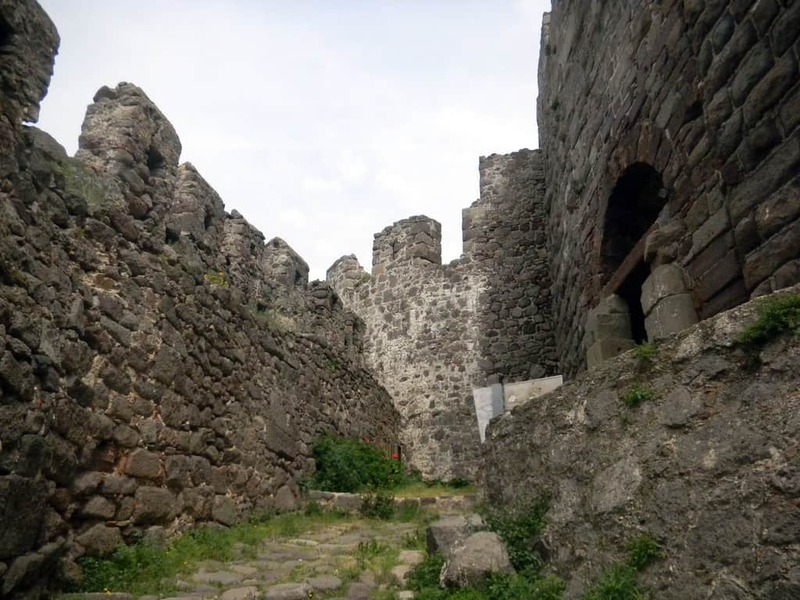 During the summer months, this too, like the Mytilini castle is used for melodious concerts and fun cultural events. You can make a whole day out of exploring this castle as there are great tavernas, and an excellent beach nearby; and one can just spend the entire day exploring, eating and then lazing around on the beach. The castle of Molyvos stands as a great historical monument for the whole island of Lesvos, and as one of the best preserved castles in Eastern Mediterranean – a must-see! One thing has to be agreed upon, Romans were great when it came to architecture. Greece has several examples of roman influences, especially in construction and this is one of the first big technical accomplishments in the architectural history of the Romans. This magnificent piece of history dates back to late II century or even the early III century. 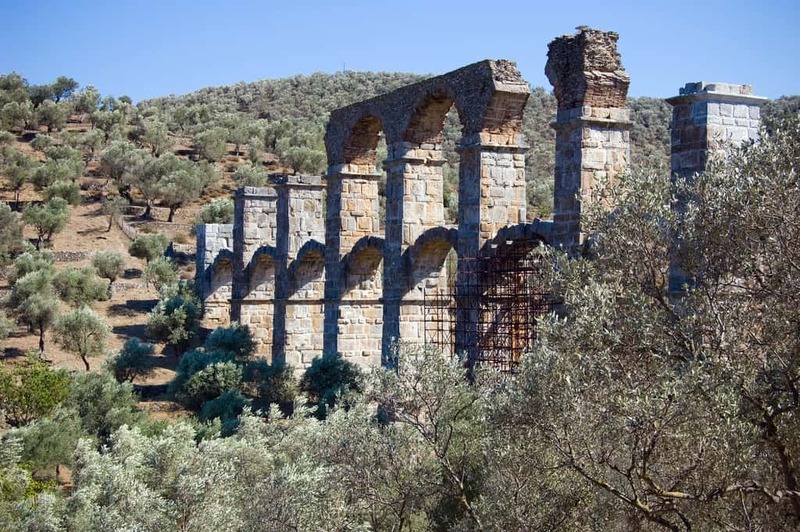 Its objective was to provide water to Lesvos, Mytilini from the lake Megali Limni, at the Olympus mount – where the construction began. The hot springs of Lesvos are well-known, situated in areas that allow one to enjoy the peaceful surroundings – with amazing scenery, providing a great relaxing and soothing experience. They also offer changing and shower facilities. 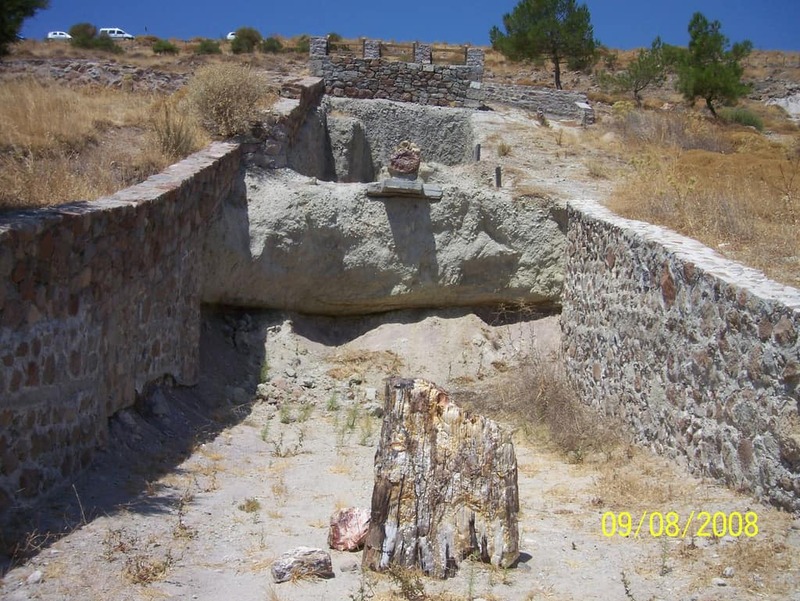 Apparently the hot springs of Eftalou really are miracle workers – as they are rumored to heal people’s aching backs and other health ailments. Apart from Eftalou, Polichnitos which has the hottest natural springs in all of Europe, are recommended for the cure of chronic rheumatism, arthritis, scropules, skin diseases, sciatica of the hip joint, myalgic pain, illnesses of the womb, lymphatism and gynecological diseases in general. This place definitely gives doctors a run for their money! So, take a dip the hot, miracle waters of these lush springs and say goodbye to aching muscles – win-win, we say! These 9 intriguing, scenic places on Lesvos, Mytilini and other towns, are just a fraction of the numerous fun places that this island houses and must be explored! Do not limit yourself to these as there is so much more that this amazing island has to offer. Everything, from the mouthwatering food here to the museums and castles, have a life of their own. The beaches here are a wonder to behold, specially the Skala Eressos, where one can relax with their loved ones and enjoy the beautiful sunset. The city beach in Mytilini is the only paid-beach on the island. It has its own changing rooms, a café-bar and strong showers. 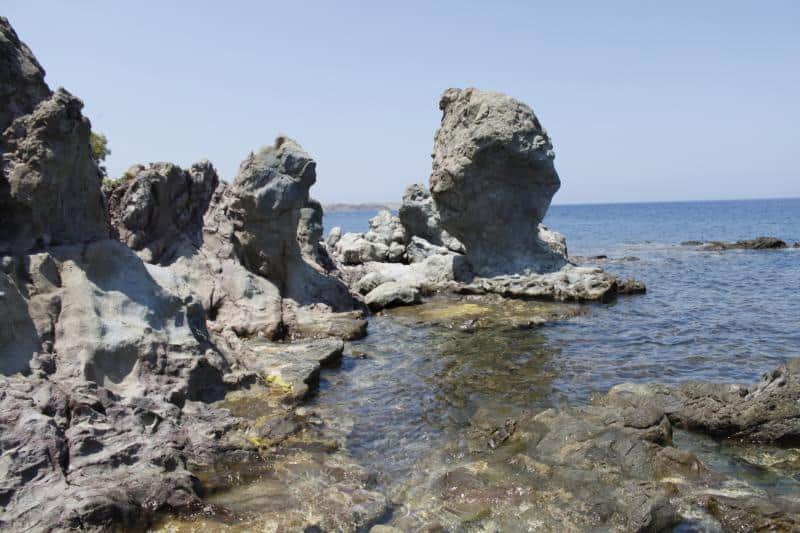 The town beach of Molyvos should also be paid a visit for its dazzling waters and sheer natural beauty. 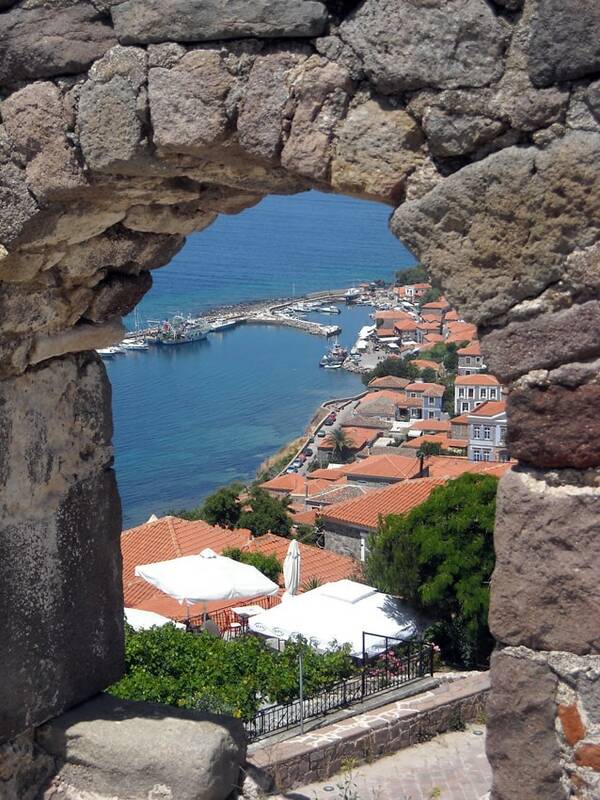 The sea is calm here, and the view of the Molyvos castle is great from the water. So, put on your travelling boots and go have the time of your lives in Lesvos, Mytilini. Photo credits: Leonora Enking, Alexandros, Elisa Triolo, Anna Apostolidou, MY PHOTOS 1000+, Catlemur, Siragri, Jonathan Lundqvist.